Patna, Mar 16: The Bihar government has set an ambitious target to make the state open defecation-free by 2019, a minister said today. 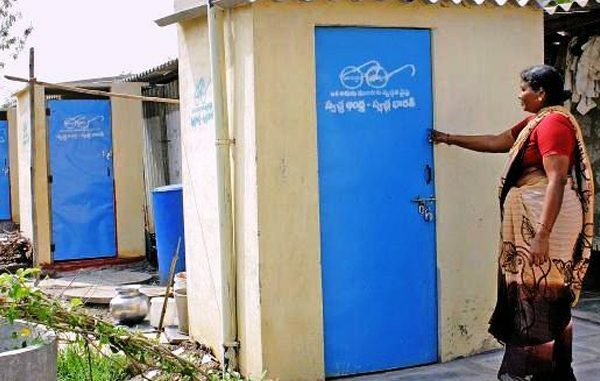 The state government has decided to provide assistance of Rs 12,000 to all those Above Poverty Line (APL) families under Lohia Swach Bihar Abhiyan scheme for construction of toilets as part of its target to make the state open defecation-free by 2019, Rural Development Minister Shrawan Kumar informed the legislative assembly. He was replying to a debate on his department’s budgetary allocation of Rs 9717.48 crore for 2017-18 which was subsequently passed by the ruling benches amid walk out by the opposition members at the fag end of the day’s proceedings. Kumar rued that the Centre has left out large number of poor families from coverage under the Swach Bharat Mission (Rural) as their names did not find a mention in the BPL list and said that eradication of open defecation will not succeed till all these families were included in the list and provided with assistance for construction of toilets. The Rural Development Minister said the state government was providing assistance of Rs 12,000 per family under Lohia Swach Bihar Abhiyan for construction of toilets in order to reduce the number of those people defecating in the open. Painting a grim picture of hygiene condition in rural areas, Kumar said that that out of 2.13 crore families residing in rural areas, a staggering 1.60 crore families did not have toilets in their houses which was a matter of concern and added that the state government has decided to expedite toilet construction on war footing by involving the elected representatives of panchayats and zila parishads. On the positive side, the state government has made one sub-division, 13 blocks, 526 gram panchayats and over 3000 villages open defecation-free, he said. Kumar said that the Centre’s Namani Gange scheme (for cleanliness of river Ganga) has also been put to use for setting a target of making 12 districts located on the banks of the sacred river and added that it has been decided to make 61 blocks, 307 gram panchayats and 473 villages of these districts open defecation-free and out of that 170 villages have already achieved the target.